You can make a perpetual positive difference and receive potential tax benefits through planned gifts. Esther & Richard Goodwin established the Fund for Preservation and Stewardship of Natural Areas to support the Burnham Brook Preserve in perpetuity through a planned gift. A planned gift to the Community Foundation is a way to give back to the community and nurture its positive future. Think about what has been important to you and your family and how you would like to ensure its future. Your planned gift to the Community Foundation can endow grants to improve the community and meet changing needs or fund your present annual gift to your favorite charity in perpetuity. The Goodwins knew that even 5% of their estate would make a difference – Take a look! A bequest is a gift named in a person’s will. Wills are necessary to carry out a person’s wishes after death regarding the distribution of their property to those they wish to benefit, including to charitable organizations. 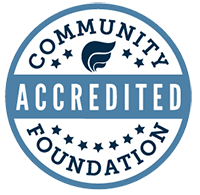 *The Community Foundation suggests discussing your charitable plans with a professional tax advisor to ensure the best choice for your financial situation. With a Charitable Remainder Trust the donor takes a one-time charitable deduction in the year the trust is formed. The donor then receives income from the trust for life. Upon the donor’s death, the assets of the trust are distributed to the donor’s designated charity or charities. A Charitable Lead Trust is a variation of the Charitable Remainder Trust. It provides for a fixed amount to be paid annually to the donor’s designated charity or charities for a specific amount of time. Upon the termination of the Charitable Lead Trust, the remainder is passed on to the donor’s designated heirs. You should confer with your professional advisors about the best options for your estate plan. We will meet with you and your professional advisors if you wish. Planned gifts help secure the vitality of the communities in our area. Our Legacy Society recognizes persons who have informed us they have made a planned gift to the community through the Community Foundation. See members of our Legacy Society. Our Community Foundation is a proud participant in Leave a Legacy® Connecticut, a statewide public awareness program that encourages people to leave something in their wills to a cause they care about.